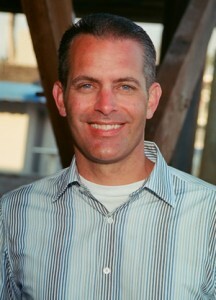 Tustin Holistic Chiropractor Dr. James (Jay) Weber, D.C. Known simply as ‘The Whisperer’ by many of his clients, Dr. Jay Weber, D.C. is a rising star in the world of natural healing. His unique methods are focused on the health of the most important lifeline that is found within all living beings…The Spinal Cord. Using The Intention Wellness Method, which he created, Dr. Jay Weber, D.C. is currently the only holistic health practitioner that specializes in gently restoring your spinal cord to its natural state so that you can get the most out of life. Dr. Jay Weber, D.C. was accepted at Life College of Chiropractic in Marrietta, Georgia (just north of Atlanta). During his four years at Life, courses included biochemistry, a major emphasis on anatomy and human physiology, X-ray, diagnosis, chiropractic adjusting techniques and patient care in the Life College Public Clinic. 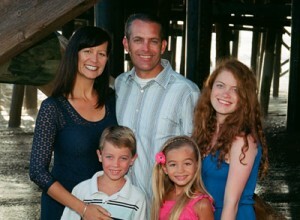 After graduating in 1996, Dr. Jay Weber, D.C. returned to Orange County to establish his practice. Dr. Jay Weber, D.C. is married to Danielle and they have two daughters, Jeni and Joy, and a son, Dane. The Weber’s love living a natural, holistic lifestyle (if that sounds interesting, be sure to ask Dr. Jay Weber, D.C. or Danielle to explain!). In their free time, the Weber family enjoys going to the beach, swimming at grandma’s house, hiking at Peter’s Canyon or enjoying a healthy meal at one of their favorite vegan restaurants. The Weber family supports charities and non-profit organizations that provide clean water to those in need and help to maintain clean beaches and coastlines (Surfriders Foundation, San Onofre Surfing Club, water.org & charitywater.org). The Weber’s enjoy giving back to their local community as Dr. Jay Weber, D.C. and Danielle have helped with the Tustin Tiller Day Parade since 1999. Also, Dr. Jay Weber, D.C. served as president of the Rotary Club of Tustin during their 2004-2005 centennial celebration year. Call our Tustin Chiropractic office to make an appointment.